Updated on Thursday at 10:40 a.m.
On Wednesday night, Zach Abolverdi of The Gainesville Sun reported that Florida Gators junior left tackle D.J. Humphries would forgo his remaining eligibility and enter the 2015 NFL Draft. Thursday morning, Humphries vehemently denied the Sun‘s report, insisting via his Twitter account that he has not yet made a decision about his future. “I have NOT made my decision on leaving for the NFL … Careful what you read . . . Thanks a lot Gainesville Sun! !” wrote Humphries. 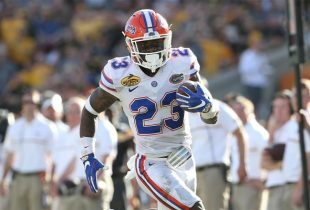 Humphries, should he eventually declare, would be the fourth Gators underclassmen to leave for the draft. Juniors defensive end Dante Fowler Jr. and running back Matt Jones and redshirt junior offensive linemen Tyler Moore are Florida players that have already decided to the program before their eligibility has expired. Humphries still has a decision to make, as do juniors defensive lineman Jonathan Bullard and linebacker Antonio Morrison, who planned to submit their paperwork to the NFL to gauge their draft stock before making decisions. Former Florida head coach Will Muschamp repeated throughout his tenure that he would advise players to stay in school unless they were projected to be selected in the first round of the draft. Only Fowler holds such a projection heading into the 2015 draft this spring. The No. 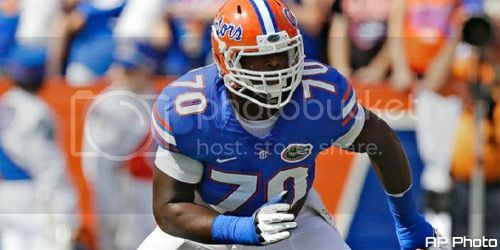 2 overall prospect coming out of high school in 2012, Humphries was named UF’s permanent starter at left tackle in 2013 but only played the first seven games of the season as a knee injury derailed his campaign. He returned to that role in 2014 and steadily improved throughout this past season after rehabilitating from a high-ankle sprain that cost him two games. If Humphries joins Moore in not returning to school, the Gators will only have eight scholarship linemen returning in 2015 as both Nolan Kelleher (back) and Drew Sarvary (post-concussion issues) are retiring from the sport due to injuries. Redshirt senior-to-be Trip Thurman, redshirt sophomore-to-be Roderick Johnson and sophomore-to-be David Sharpe would be the leaders of the unit next season. 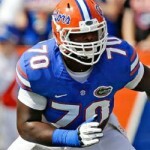 OnlyGators.com has reached out to the school for confirmation on Humphries’s decision. Florida has yet to officially acknowledge any draft declarations as of press time. Optimism is in the air and contagious. Giddy-up Coach summers. Time to get your “come to Florida and help us lead the SEC in total offense” schtick on. Is he good enough to declare early? Does he have a family or something to take care of? I didn’t think he would be a very high pick. This is looking a lot like last year, when everyone that had a pulse either left early or transferred. The reality is that many of the players are not student-athletes, they are the opposite. School is just seen as an impediment to their goal of playing in the NFL, as soon as they can they ditch school. Their egos are so huge that reality rarely darkens their door. They’ve been told how great they are since grade school and have friends and family pressuring them to “get paid.” A former five-star like Humphries is not going to hear someone who tells him that he might not even be drafted. He’s going to listen to someone that may have said a couple of years ago that he was a can’t miss first round draft choice. These players don’t actually do their homework and discover that staying in school can actually make them more money and a longer career in the NFL. It’s partly fans fault, as well. Martez Ivey is the same can’t miss guy that Humphries was, he’ll be fawned over the same way and if he becomes a bust like Humphries, he’ll probably never know it because he’ll only listen to what he wants to hear. Please, try to be more presumptuous next time. I thought Humphries would stay another year, dominate, and be a 1st or 2nd rounder in 2016. I don’t think this is a wise decision, he has not been very good so far in his college career. he has been a turnstile at times. Good Luck and thanks for your contributions. GO Gators! Am I the only one who saw Dj constantly being penalized for false start and holding? When he wasn’t doing that he was constantly being beat. Not smart, if he is drafted it will be late rounds. He’s a guy who could really improve by coming back. That was only on the plays when Moore wasn’t being penalized for holding, etc. Although I will never root against a Gator and I wish them all the best, I think that this is a bad move by both players. I think they’re delusional. As a matter of fact, the only one who isn’t delusional is Dante Fowler. Only time will tell but I guess some of these kids are going to have to fall flat on their faces before the kids coming up behind them begin to understand that staying in school is their best move. Doesn’t matter if they have a child, a wife, a mom, or whoever to support, for the vast majority of them, staying in school and getting their diploma and having a career to fall back on if the NFL doesn’t work out is their best move. That is the bright side. Been thinking the same thing. Hopefully that will also influence other OL talent out there to come play for the Gators. Heh, bright side. Yeah. There is no bright side to a freshman OL coming in playing a lot right away. None. Unless the kid is a once in a generation all out stud or the Poncey twins, nothing good will come of it. That is not the position to be playing freshmen at, ideally. That was the same note I posted back on the day Adam posted all the bad news about our OL fallout. Ivie would be sweet but I hope we get a couple of JUCO studs that can come in and contribute right away. That’s not happening. The JUCO guys signed yesterday. Florida failed to get one guy they thought they had flipped from Oklahoma Stat. He wasn’t a stud, just a body for depth. It’s very hard for a new coach to come in and get great players immediately, anyway. Added to that is the fact that McElwain wasn’t recruiting anyone to Colorado State that are Florida caliber players and you can understand the dillemma UF is in right now. UF is going to take a hit in recruiting this year, it’s up to the guys already on campus to perform. Rod Johnson looked pretty good when he played, but after that I have no idea who’s going to step up. I think Thurman is a backup at best, it shows what sad shape UF is in to have a guy like him as a starter. The most important thing is to find a center, I think center is the most important position on the line. UF might actually be better off without Humphries, he wasn’t a good player. gatorboi352, I agree having a freshman start on the OL is a rarity, but there is a precedent besides Pouncey. I don’t know how far you go back with the team, in the early 90’s Reggie Green did it. He was a beast! But yeah, DJ should stay for his last year.